A friend asked me last year what I thought of a particular starred restaurant that she knew I had eaten in. Before I had a chance to answer, she proffered her own view: ’I find that food stressful’. 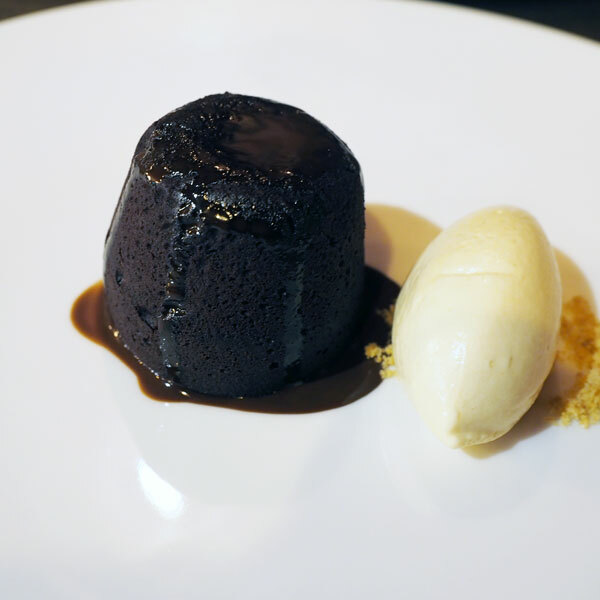 I knew exactly what she meant – food which had been overworked to within an each of its life, and visions of stressed-out chefs with tweezers agonising over the placement of a garnish. There is no such stress to be found in the fine cooking of Peter Everett, at his eponymous new Waterford City restaurant. 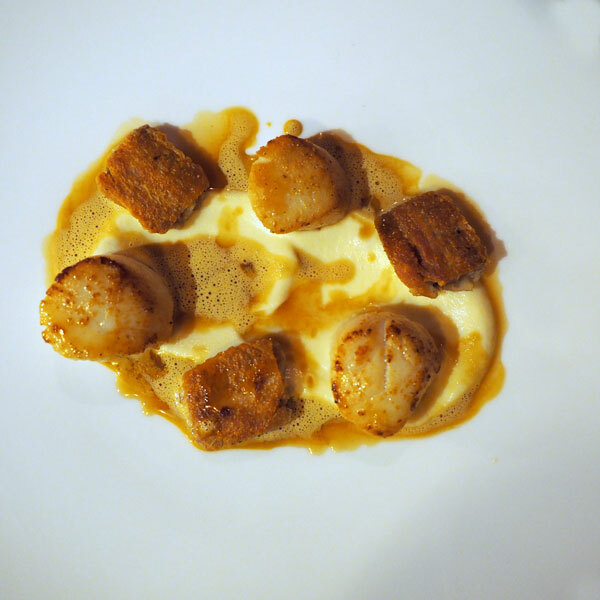 This is cooking of enormous composure and confidence; food that is elegant and graceful, firmly grounded in the classic techniques and, most importantly, full of flavours that are perfectly judged and deeply satisfying. It’s a return to hometown for Mr Everett, who worked with Michael Quinn while that chef oversaw the kitchens at Waterford Castle. 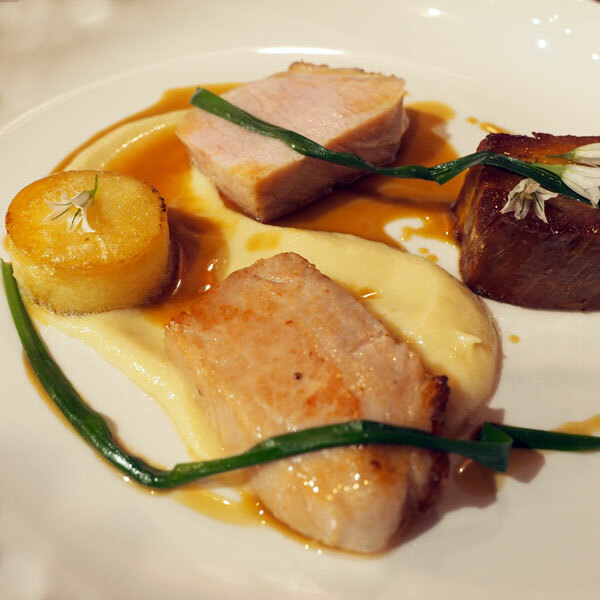 He then went on to take the EuroToques Young Chef of the year award, and stints in Chapter One first and then Residence under Graham Neville followed – a fine roll call of kitchens for a thirty-four-year-old. There is an apt brevity to the menu, with a choice of four starters, five mains, three desserts and a cheese course to choose from. In the four times I’ve eaten here since the doors opened I’ve managed to eat almost everything on offer: a bolognaise ravioli with Parmesan – the unwritten element being that the pasta was filled with beef cheek, offering a great thump of flavour. Beautiful baby purple artichokes with roasted red peppers and wild garlic is piquant and delightful, and my absolute standout dish of seared scallops with confit chicken wings, peas and chicken jus – the magical combination of silky scallop with crispy confit chicken was executed better than I’ve ever eaten before. Mains continue the apex standard: roast brill with hazelnut and cauliflower, and cod with nduja, broccoli and sherry sauce both evidenced perfect fish cookery. 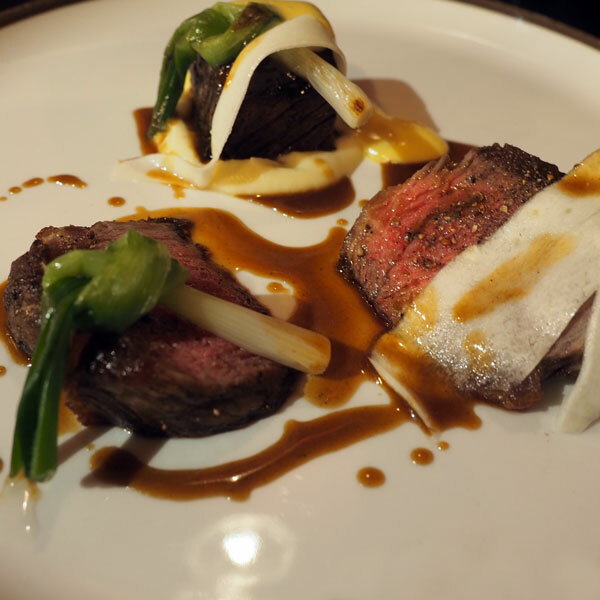 Striploin and braised short rib of beef cooked in ale with carrot and spring onions is a knockout dish featuring Derek Walsh’s beautiful beef. 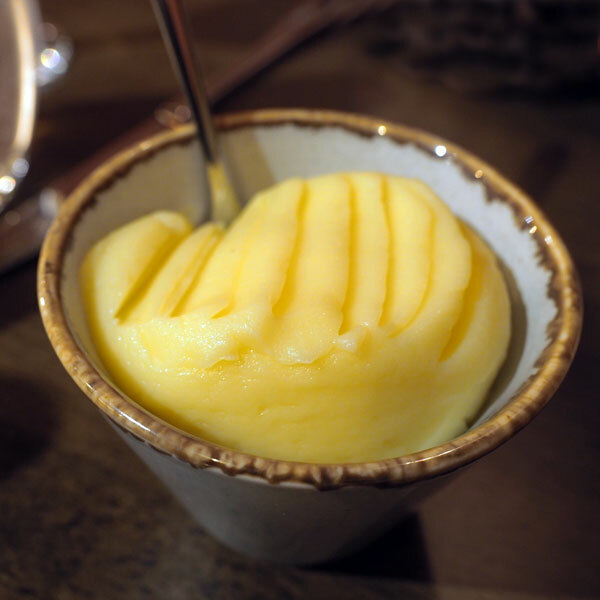 Accompaniment has been kept simple with just some excellent mash. 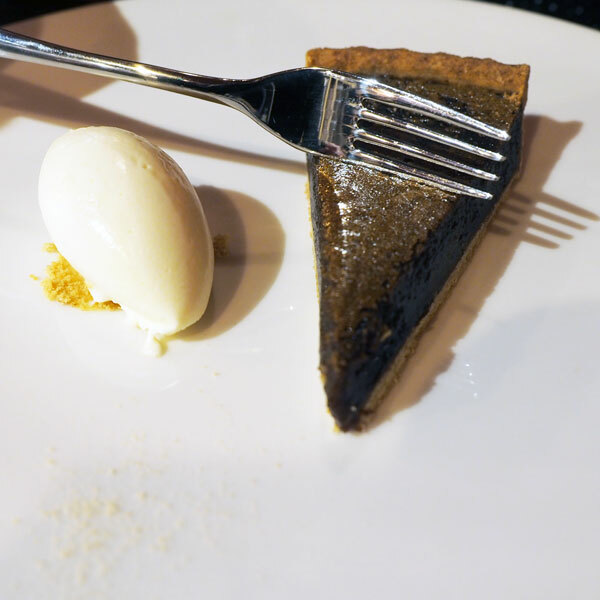 From the desserts I’ve found it hard to not order the brown sugar tart with Bramley ice cream – a wonderful smack of nostalgia that brings back memories from childhood of my mother popping open the lid on a tin of Lyle’s treacle. The obvious calmness in the kitchen extends to the entire room where service is friendly and assured. 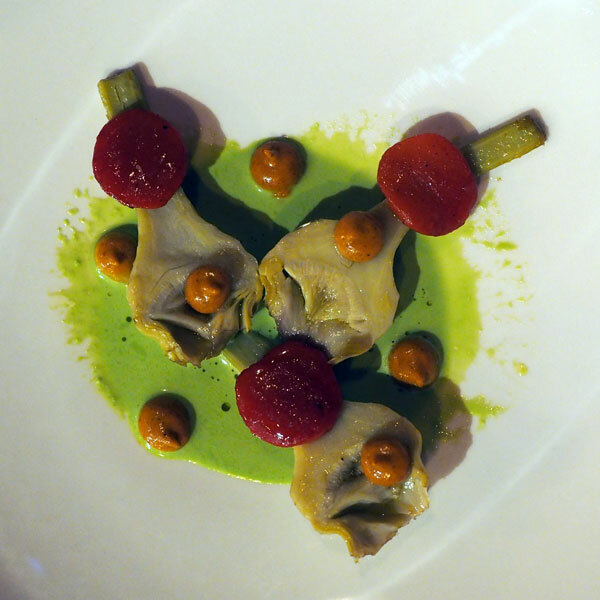 Value is very strong, with three courses for dinner at €40 or just €25 for the pre-Theatre version. In choosing to buy the building, Mr Everett and his partner, Keith, have made a clear statement that they’re in for the long haul. Here’s hoping, because Everett’s is a superb addition to the growing cluster of excellent restaurants Waterford City.